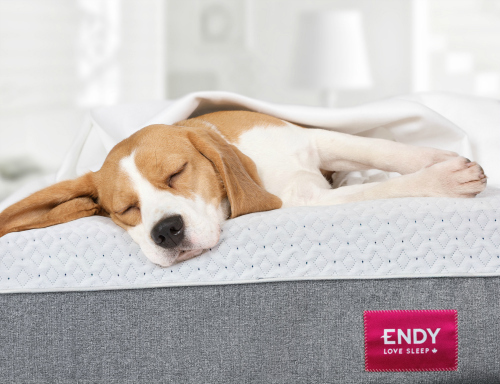 When I first read Sleep Country Canada Holdings (SCC) was going to acquire online start-up Endy Mattress, I was a little taken aback. But, after thinking about it, I began to wonder why something like this hadn’t happened sooner. Although verifiable data to prove it has never been found, the e-commerce mattress purveyors have generally been seen as the fastest growing segment of the market. Because of that, they’ve been giving traditional bedding retailers fits, if not nightmares. Sleep Country’s move is not without precedent. Not too long ago, Serta Simmons Bedding, the U.S. based mattress manufacturer, acquired Tuft & Needle, one of the major e-commerce players in that country. The move also gives further credence to the notion that the successful brick-and-mortar retailer of the future will have a strong omni-channel marketing strategy. One of the analysts who follows Sleep Country applauded the Endy acquisition and offered several observations with which I’m in complete agreement. It will allow SCC a stronger position to participate in the online segment, while enabling it to compete against both new and existing entrants – Casper, Saatva and Novosbed to name a few. The acquisition will broaden SCC’s customer base, giving it greater access to the younger consumer who are the target of Endy’s aggressive web-based marketing efforts. It will also be able top leverage Endy’s e-commerce expertise. Endy will also benefit as it will be able leverage SCC’s operational strength in logistics, warehousing and shipping. When Sleep Country returned to the public equity almost three years ago now, it launched an aggressive expansion plan that called for the opening of at least 10 new stores every year until about 2022 while driving annual sales to about $640 million annually. Dave Friesema and his team were expected to achieve that target next year, but thanks to the Endy acquisition revenue will jump over the $725 million mark (which also gives credence to Endy’s claim its sales will approach $50 million this year). If nothing else, the Endy acquisition solidifies Sleep Country’s position as the industry’s national powerhouse, making it unlikely to be seriously challenged in the near term. This is undoubtedly good for shareholders and probably for Canadian mattress manufacturers as well, most of whom were wounded to some degree by the exit of Sears Canada in early 2018. Promising to operate Endy as a separate company is also smart. It will allow each to develop naturally while concentrating on what each does best. After all, this past September, Endy was named Canada’s fastest-growing retailer and the fourth fastest growing overall in the annual survey published by Canadian Business. It’s also a move that’s not likely to be duplicated anytime soon – unless Mattress Firm emerges from bankruptcy to buy Casper. SCC’s move will, I think, encourage other Canadian retailers to up their online game. Omni-channel is the future and, if nothing else, the Endy acquisition is further proof of this emerging truth.